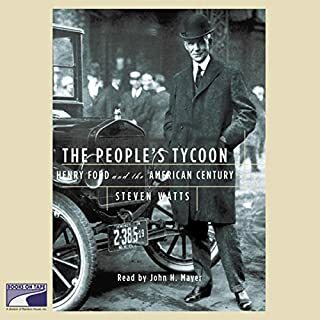 How a Michigan farm boy became the richest man in America is a classic, almost mythic tale, but never before has Henry Ford's outsized genius been brought to life so vividly as it is in this engaging and superbly researched biography. The real Henry Ford was a tangle of contradictions. He set off the consumer revolution by producing a car affordable to the masses, all the while lamenting the moral toll exacted by consumerism. 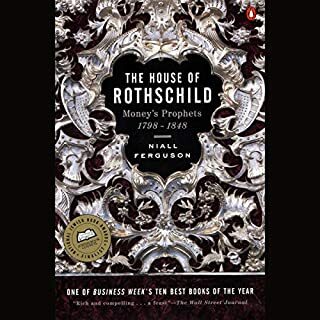 In his rich and nuanced portrait of the remarkable, elusive Rothschild family, Niall Ferguson uncovers the secrets behind the family's phenomenal economic success. He reveals for the first time the details of the family's vast political network, which gave it access to and influence over many of the greatest statesmen of the age. 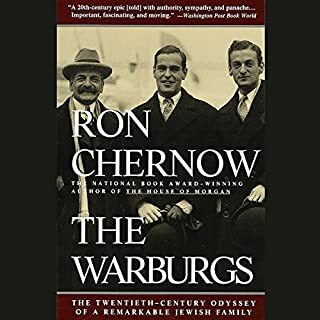 And he tells a family saga, tracing the importance of unity and the profound role of Judaism in the lives of a dynasty that rose from the confines of the Frankfurt ghetto and later used its influence to assist oppressed Jews throughout Europe. Acclaimed author Charles R. Morris vividly brings these men and their times to life. The ruthlessly competitive Carnegie, the imperial Rockefeller, and the provocateur Gould were obsessed with progress, experiment, and speed. They were balanced by Morgan, the gentleman businessman, who fought, instead, for a global trust in American business. Through their antagonism and verve, they built an industrial behemoth - and a country of middle-class consumers. Author of The Kennedys at War and The Lion’s Pride, Edward J. Renehan, Jr. presents a fascinating biography of one of the most hated and most admired American entrepreneurs of all time. Here, he sheds light on Wall Street magnate Jay Gould and his frequently overshadowed creativity. Gould was the quintessential robber baron and the original modern businessman whose financial examples persist even today. Jacob Fugger lived in Germany at the turn of the 16th century, the grandson of a peasant. By the time he died, his fortune amounted to nearly 2 percent of European GDP. Not even John D. Rockefeller had that kind of wealth. Most people become rich by spotting opportunities, pioneering new technologies, or besting opponents in negotiations. Fugger did all that, but he had an extra quality that allowed him to rise even higher: nerve. Joseph Patrick Kennedy - whose life spanned the First World War, the Roaring Twenties, the Great Depression, the Second World War, and the Cold War - was the patriarch of America’s greatest political dynasty. The father of President John F. Kennedy and Senators Robert and Edward Kennedy, 'Joe' Kennedy was an indomitable and elusive figure whose dreams of advancement for his nine children were matched only by his extraordinary personal ambition and shrewd financial skills. Like the Rockefellers and the Kennedys, the Kochs are one of the most influential dynasties of the modern age, but they have never been the subject of a major biography... until now. Not long after the death of his father, Charles Koch, then in his early 30s, discovered a letter the family patriarch had written to his sons. "You will receive what now seems to be a large sum of money," Fred Koch cautioned. "It may either be a blessing or a curse." Narrated by: Cal Turner Jr. Longtime Dollar General CEO Cal Turner, Jr. shares his extraordinary life as heir to the company founded by his father Cal Turner, Sr. and his grandfather, a dirt farmer turned Depression-era entrepreneur. Cal's narrative is at its heart a father-son story, from his childhood in Scottsville, Kentucky, where business and family were one, to the triumph of reaching the Fortune 300 - at the cost of risking that very father/son relationship. Cal shares how the small-town values with which he was raised helped him guide Dollar General from family enterprise to national powerhouse. 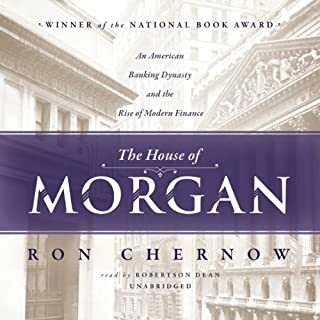 Ron Chernow examines the forces that made dynasties like the Morgans, the Warburgs, and the Rothschilds the financial arbiters of the early twentieth century and then rendered them virtually obsolete by the century's end. As he traces the shifting balance of power among investors, borrowers, and bankers, Chernow evokes both the grand theater of capital and the personal dramas of its most fascinating protagonists. The Secret History of Lazard Freres & Co. Discretion, secrecy, and subtle strategy were the weapons of choice at Wall Street investment bank Lazard Frères & Co. For more than a century, the mystique and reputation of the "Great Men" who worked there allowed the firm to garner unimaginable profits, social cachet, and outsized influence in the halls of power. But in the mid-1980s, their titanic egos started getting in the way, and the Great Men of Lazard jeopardized all they had built. A landmark work from one of the preeminent historians of our time: the first published biography of Andrew W. Mellon, the American colossus who bestrode the worlds of industry, government, and philanthropy, leaving his transformative stamp on each. Following a boyhood in 19th-century Pittsburgh, during which he learned from his Scotch-Irish immigrant father the lessons of self-sufficiency and wealth accumulation, Andrew Mellon overcame painful shyness to become one of America's greatest financiers. Across an unusually diverse range of enterprises, from banking to oil to aluminum manufacture, he built a legendary personal fortune, tracking America's course to global economic supremacy. The Mellon way was to hold companies closely, including such iconic enterprises as Alcoa and Gulf Oil. Personal happiness eluded Mellon, however: his loveless marriage at 45 to a British girl less than half his age ended in a scandalous divorce, and for all his best efforts, he would remain a stranger to his children. He had been bred to do one thing, and that he did with brilliant and innovative entrepreneurship. Collecting art, a pursuit inspired by his close friend Henry Clay Frick, would become his only nonprofessional gratification. And by the end of his life, Mellon's "pictures" would constitute one of the world's foremost private collections. The issues Andrew W. Mellon confronted, concerning government, business, influence, the individual and the public good, remain at the center of our national discourse to this day. Indeed, the positions he steadfastly held reemerged relatively intact with the Reagan revolution, having lain dormant since the New Deal. 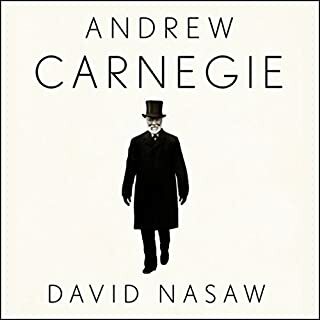 David Cannadine's magisterial biography brings to life a towering, controversial figure, casting new light on our history and the evolution of our public values. I must admit that before listening to this book I knew very little about Andrew Mellon. With the exception of Mellon Bank, Carnegie Mellon University and his service as US Secretary of the Treasury under 3 presidents, Andrew Mellon to me was a distant figure who ranked with the other plutocrats of the guilded age (Morgan, Frick, Rockefeller and Carnegie). This book was truly a revelation. It is a long listen but the narrator does an excellent job and the coverage of Mellon's life and ancestory is truly complete. I must admit that I found the latter part of the book (during which the author discusses Mellon's time in Washington while he served as Treasury Secretary (and for what it is worth, he not Ronald Reagan was the creater of Trickle Down Economics), his income tax trial, his fight with New Dealers and his work as founder of the National Gallery) to more interesting than the first part of the book where the author discusses his business career. Nevertheless I found this book to be extremely enlightening and worth listening to despite its being very long in length. A very detailed history of the Mellon family (lots of time spent on the father), but more importantly, this is a description of the rise of American-style capitalism. David Cannadine is a historian with obviously great research skills. This audio book tops 36 hours and I found every minute of it to be interesting. I'm so sick of journalist writing shallow books on topics they only have a passing interest in (and zero research ability beyond talking to someone who just so happens to want to sell something). Prof. Cannadine says the book was more than ten years in the making--I just wish we had more quality business history like this. 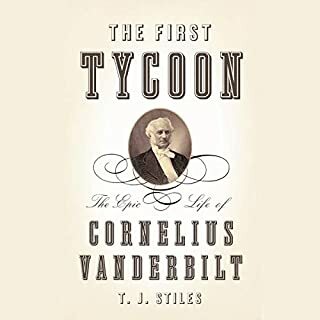 The author does a wonderful job with the life of Thomas and Andrew Mellon presenting the essence of what it took to build the family fortune. He presents a good analysis of the sacrifices necessary and emotional/personality holes in A.W. 's psyche and some of their consequences on him and his family. Of the biographies of the great industrialists I've read, this one is the most interesting due to the varied life A.W. led and the story that was told of a nearly completely forgotten titan. The biography of Andrew Mellon is one of the best written biographies that I have ever read. The story of the man laced with the history of his incredible 82 years is literally a page turner. The reader is one of the best. The narrator is great, John H. Mayer is a great voice for history. The book is worthy of both the historical and finance reader. Thomas Mellon and his son Andrew Mellon are the major contributors to the greatness of America in the early 1900's and to the great bounty we have today. Without, their stewardship of savings and many fledgling businesses, America would be less of a nation today. Add A. Carnegie, H. Ford, and JD Rockefeller to this list. The author is historically un-informed as he uses the discredited work of Ida Tarbell and Lincoln Steffens to smear Mellon. The very foolish Lincoln Steffens actually praised the USSR as the future. Steffens was a committed Communist, but Cannadine uses him as an analyst of 1900's Pittsburgh. Today, how many people would want to live in Pittsburgh versus Stalin's Moscow. Even the Russians have a big community in Pittsburgh. Meanwhile, no Americans packed their bags to move to the USSR or even Putin's Russia today. The author does not understand capital allocation or the creativity of business. If predicting future demand and running a business intelligently were common, anyone could open a market account and make big dollars, day-one...without education. The author thinks savings, investing, and running a business is not creative! Obviously, he does not know how the world actually works, he clearly shows his college professor mentality. His subject is a Leonardo da Vinci of American business and he calls him &quot;philistine&quot;. By the way, the Philistines were very smart people and we owe them for the much of the advancements we consider Greek, Roman, or Islamic today. These guys created the integrated civilizations of the Mediterranean we admire today. The book is extremely thorough. The author is quite skillful in his writing, but the book is almost too long. Also the narrator reads horribly slow. Set it to 1.25x speed and its perfect. What does John H. Mayer bring to the story that you wouldn’t experience if you just read the book? An extraordinarily and unexpectedly interesting biography of an important but little known or understood man. A beneficiary of the American Capitalist system who honorably used it to his advantage then created a lasting legacy. Gives one a new understanding of Washington DC. 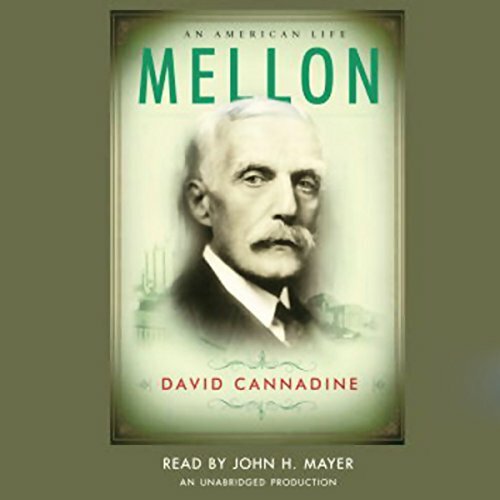 The author did an excellant job on protraying Andrew Mellon, although it is very dificult to write a biography on a person and really catch the human nature of the person, since humans are very complex, but this book did an excellant job of bringing forward Andrew Mellon as living complex person. I really enjoy the beginning with Mellon's Ancestory, it help me to understand the movement and events that shape the lives of people in Pittsburgh Pa., in the 1800's. It is also of interest the latter part of the book to understand how his philosophies continue down to our day. I would highly recommend this book. A worthwhile read and a glimpse into an area that disappeared along with Mellon himself.